Wow…he’s gorgeous! 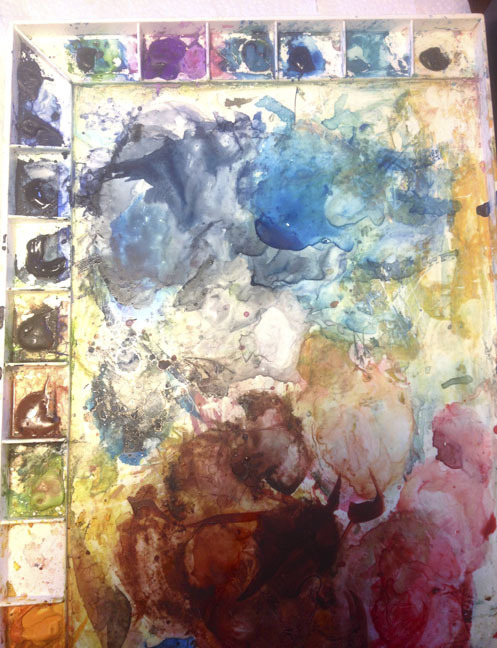 Thanks for showing your process, and I really love the idea of using pastel on top for more texture and color. Awesome painting, as always! Thanks. The others are two and will appear in the n next blog post where I show the finished designs. 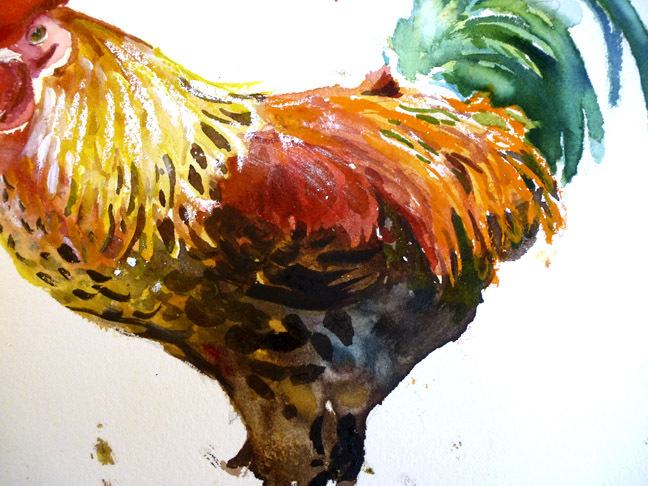 There are so much fun to paint because of all the feathers and colors and textures. Yes the addition of pastel is great and keeps me from trying to put in more detail with the paints and helps keep it loose. Happy Easter and love. Sorry we missed our call and lets try again. These lessons are fascinating. Thanks for showing them. Louisa May looks almost exactly like my Boo! 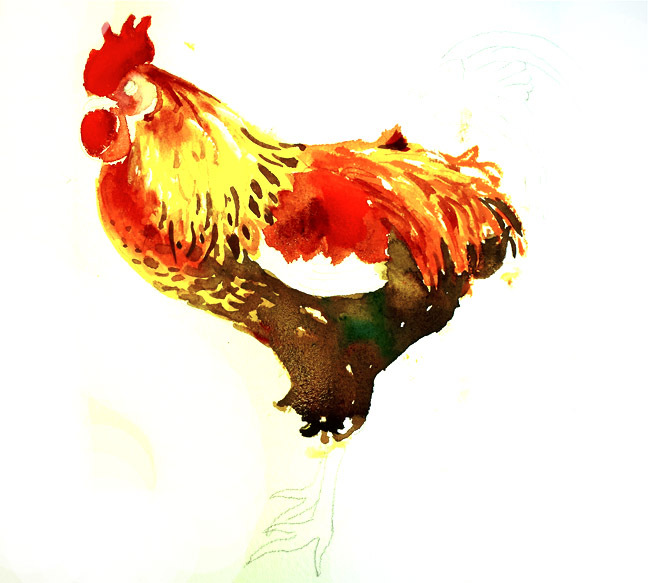 Great blog… love the rooster. Hi Gretchen, so glad you like the roosters. Next post you will see all of them and the designs we made out of them. That’s where Dennis comes in. 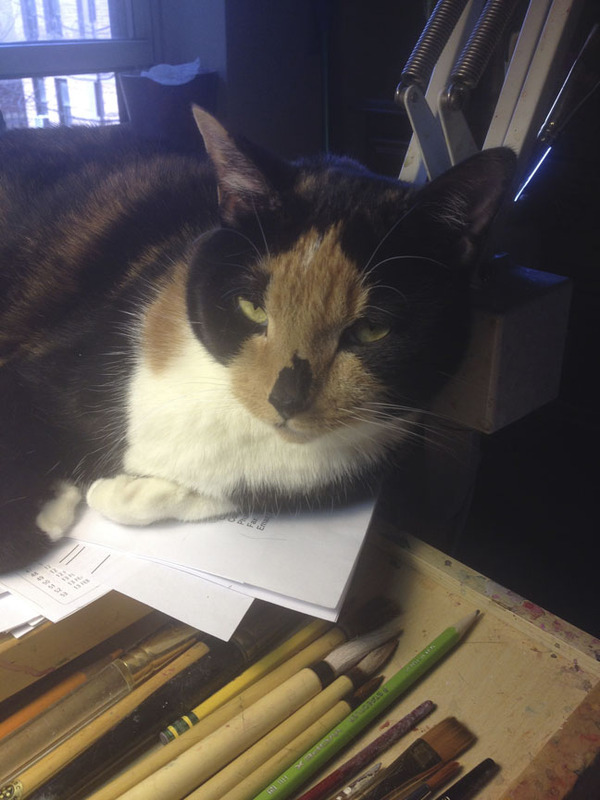 Louisa is a tortoiseshell calico and I guess that Boo is also.She is remarkable looking and a total love bug. A cuddler, and a flopper and lets you do anything to her. But she started life out as a barn kitten and has a streak of aggressiveness. Periodically she stalks Maggie our 15 year old who is unnerved by her. She did this as a very young kitten with Maggie and our male Buster. Such individual personalities. You’ve shined a light for me on some of the mysteries of the artistic process. And I must say, you’re as nimble with words as with colors. Janet hi, Thanks for your nice words and I am so glad that you found this post interesting. 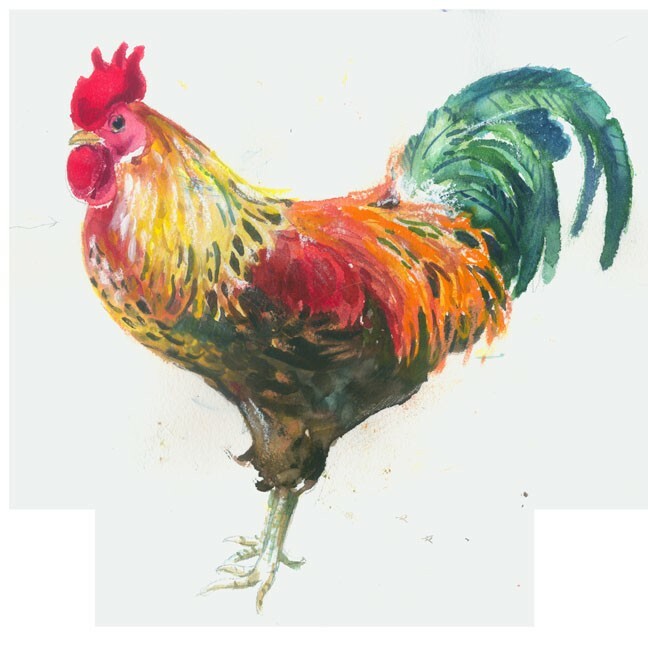 I know you are a watercolor illustrator and that is just great! 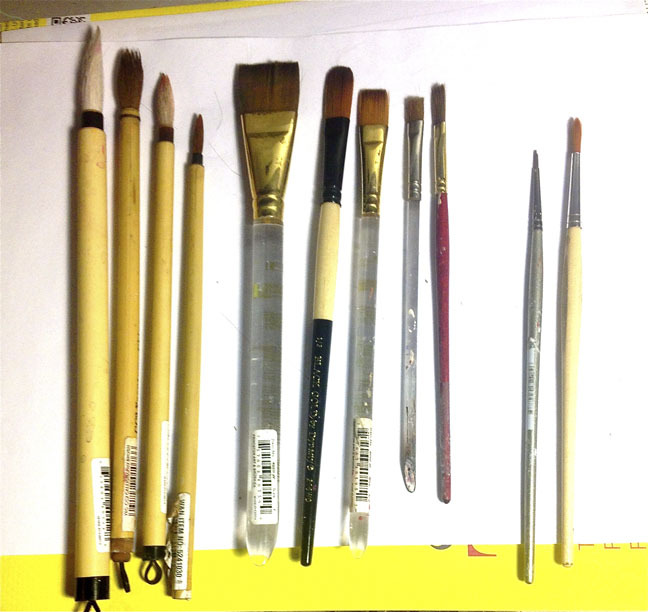 Oh yes I do love my brushes. And I’d love to know what your favorites are. So great to have you as a follower. 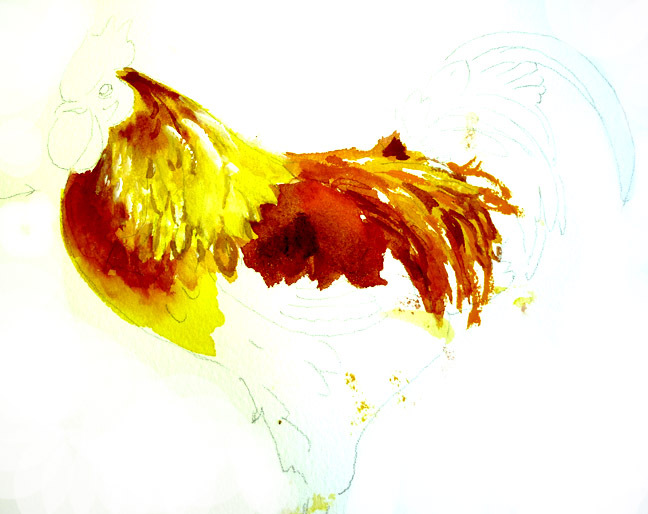 Next post is on the finished rooster designs. If I can ever get Dennis answer my questions I would then be able to be more technical about how the backgrounds are done. 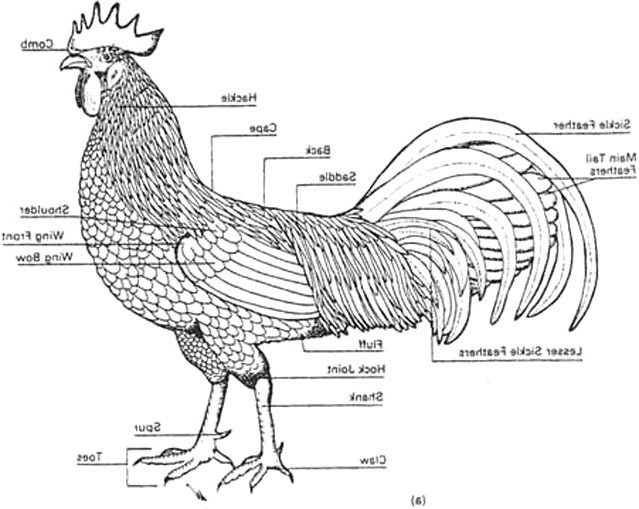 I love the roosters. Beautiful. Hi Joan. 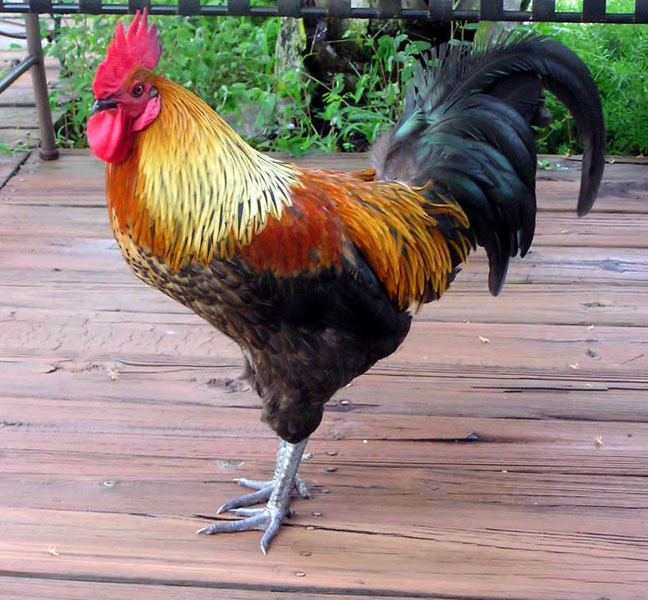 So glad you like my roosters. Let me introduce you to Ernie, Ezra, Chuck and Petey Boy. They are all so pleased that you like them and they are now preening madly.